Recently I posted a comment on Twitter about how I didn’t understand the Cooper Kupp love and I would much rather have the 1.01 pick. What I didn’t realize is that it would start a flurry of comments, hate, support, agreement and people calling me an idiot. I knew that the Kupp truthers were out there but I had no idea that they were that strong and passionate. Don’t get me wrong, I actually like Kupp; I have him as my 22nd ranked fantasy wideout. However, I have learned that clearly others have him higher than me. One of the people that disagreed with me was NFL Network Researcher and Redshirts Fantasy Football Podcast co-host Matt Okada. 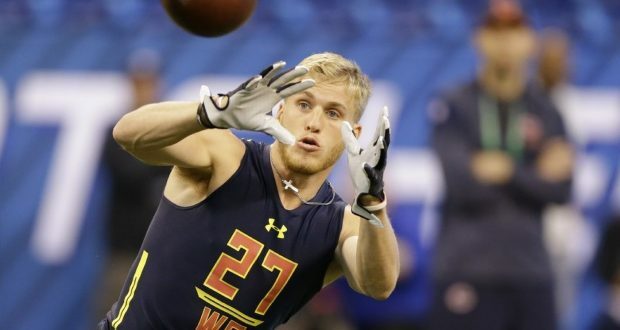 He made some good arguments to his side and because of that we decided to write an article on the topic and let you be the judge and determine which is the more valuable fantasy asset; Cooper Kupp or the 2019 1.01 rookie draft pick. Let me make this clear, I do not think that Kupp is a bad player. I know the context of this argument makes it seem as if both people have to be on complete opposite ends of the spectrum, but that simply isn’t true. I think he could be a top 24 receiver for the next 5 seasons. I just have a few concerns with his game and situation vs. the potential of the top overall pick. First and foremost, let me explain why the 2019 1.01 pick is so intriguing to me. Taking a look at the fantasy first round adp for rookies for the years of 2013-2017, 67% of the players that went picks 1-3 were what I would consider “hits”. That means that wide receivers were top 18 and running backs were top 12 at their positions at least once for those with 3 years or less experience. Those with more than 3 years experience had to do it at least twice. That means with good scouting and good landing spots, a top 3 pick could be very valuable and fairly “safe” by comparison to the rest of the first round which is closer to 20% hit rate. Below are the rookie average draft positions on the closest date available to the start of the regular season, according to Dynasty League Football. Looking at those numbers, I really want to have an early pick and if I had to trade Kupp to do it, then I would absolutely be willing to do so. Now, I am not specifically saying that I am trading Kupp straight up for N’Keal Harry today. I am also not trading him for Jacobs, Metcalf, Butler, or Brown at this point. I am trading for the currency of the 1.01 pick. The luxury of that is that I am not locked into anyone of these players and I can wait and see where they land, if any big moves happen, or if there are injuries that take place. This means I hold a chip that I can play at anytime, and I don’t have to stress out over whether or not “my guy” does everything that he is supposed to between now and my fantasy draft. I also have the ability to trade the draft pick for a king’s ransom if someone decides that they “absolutely love” a specific player that should be the top draft choice after the NFL draft. The flexibility that this draft choice offers me is crazy valuable at this point in the year. The other aspect of this is, I actually really like a lot of the players in the top of this class. I really do think that Jacobs or Harry will be an absolute number 1 at their position for years to come. N’Keal Harry checks every box on both the athletic side of things, as well as with the production at the college level. Jacobs didn’t get quite as many touches at Alabama as most would like, but his tape is fantastic and he possesses all the physical tools of a 3 down back at the NFL level. 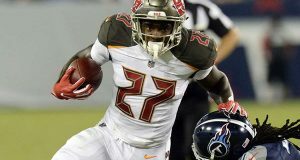 Plus, with how physical the running back position is, it might not be the worst thing ever that he wasn’t overworked in college. I have a strategy that I often apply to playing fantasy. This isn’t specifically unique to me, but it does seem to be effective. When dealing with draft picks, I am looking for upside. If I were to trade away all my potential upside for a safety play, then it feels as if I had missed an opportunity to make my team significantly better. Sure, there is risk involved, but if you are consistently playing it safe with your draft picks and trading them away for established players then you will have a team full of wide receiver/running back 2-3’s… and a team full of 2-3’s won’t win you titles. I do also have a few concerns with Cooper Kupp. First, he is in a very crowded situation with Cooks, Woods and Gurley all also vying for touches. In his 8 games, he only led the team in targets twice and had one other game where he tied for the lead in targets. For me, I want a player that is going to dominate in targets in more games that is more solidified in that WR1 role for that given team. This makes me question what Kupp’s true upside really looks like. I think for the foreseeable future, he will be a solid mid to low WR2 and that’s awesome. But if I have the 1.01 pick, I want a true top flight guy, not a guy that’s going to sit in my WR 2 or 3 spot most weeks. On top of the concerns over the target share, there are also injury concerns. Early in the season Kupp missed some time with a concussion and then he ended his year with a torn ACL. At this time, it’s still not clear if he will be ready to go at the beginning of the season. Yes this is dynasty; so a few missed games here and there isn’t the end of the world, but counting on guys that are unreliable can be very frustrating and can throw your fantasy week into a tailspin at a moments notice. Let me begin with a confession. I am an unapologetic Cooper Kupp truther. No, his school is not an FBS powerhouse, and no, he didn’t run a 4.4-forty at the combine. But from the first days of his rookie training camp (which I visited down in Irvine, CA), Kupp showed great chemistry with Jared Goff and looked like a strong, reliable NFL receiver. It’s been nearly two years since then, and Kupp has shown enough in my book to warrant serious consideration as a top-flight fantasy wideout — and to cement his value just above that of the 2019 rookie 1.01. Before I get carried away waxing poetic on Cooper Kupp (which will happen later), let’s quickly break down what we should expect out of the 2019 rookie class, as that will set the barometer for this debate. Garret unpacked a valid starting method for weighing early rookie pick value, but I want to narrow in a little more on the 1.01 itself. I think recent years have spoiled us on #1 rookie picks. Starting in 2015, we’ve had an incredible run of top-tier running backs at the 1.01: Todd Gurley in 2015, Ezekiel Elliott in 2016, Leonard Fournette in 2017 (unless you preferred Corey Davis), and Saquon Barkley in 2018. All four RBs hit the ground running (pun intended), and three of them are currently top five startup picks. That’s an insane hit rate. Here’s the thing: all four of those guys were top 10 NFL Draft picks. All four came off extremely productive college careers, with very few question marks (and the biggest question marks — on Leonard Fournette’s health and versatility — have already translated into viable fantasy concerns). In the years before that run, we saw 1.01’s like Sammy Watkins/Bishop Sankey in 2014, Giovani Bernard/Tavon Austin in 2013, and Trent Richardson in 2012. You see where I’m going here. The last four years of 1.01’s have been miraculous — the previous three feature an inconsistent WR3, a pile of busts, and the “best” running back … in the AAF. Moreover, there is simply not a Zeke or a Saquon in the 2019 draft class. Josh Jacobs might be selected in the first round in April, but it will almost certainly be outside the top 10, and he’s something of a wild card prospect. There’s some admirable depth at wide receiver, but ask four dynasty experts for the their top guy at the position and you’re likely to get four different answers. None of this screams sure-fire fantasy star in my book. 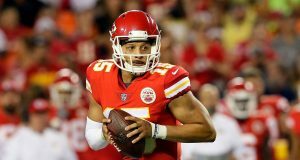 Will we get some great fantasy players out of the 2019 class? Almost definitely (perhaps mostly at the tight end position). Will we be confident pinpointing the right player at 1.01? I’m not so sure. “So, with all this terrifying uncertainty, what are you sure of, Matt?” Two words, my fellow dynasty degenerates. Cooper. Kupp. In case you’ve forgotten (or never knew in the first place), Cooper Kupp was a production monster in college. Here are a few numbers for your consideration. 428 career receptions. Most in FCS history. 6,464 receiving yards. Most in FCS history. Kupp’s scouted strengths included strong hands, nuanced route-running, and contested-catch toughness — all of which have translated seamlessly through a season and a half, and masked a perceived lack of “explosiveness” and separation skills. Consequently, the impressive production hasn’t stopped. As a rookie in 2017, Kupp racked up 62 catches on 94 targets for 869 yards, leading a team with Sammy Watkins (former dynasty 1.01) and Robert Woods (last year’s WR11) in all three categories. Last year, Kupp started the season on fire before suffering a Week 6 knee injury (on an illegal horse-collar tackle, incidentally), and then a Week 10 torn ACL. In six full games prior to Week 10, Kupp logged 35 receptions for 527 yards and 6 TDs — good for 20.8 PPR points per game … or the WR5 over that span. That’s a full-season pace of 93 catches for 1,400 yards and 16 touchdowns. And almost all of it happened with both Woods and Brandin Cooks on the field and fantasy relevant. Need more? Oh, I’ve got more. Kupp has garnered 30 red zone targets since entering the league, or 1.3 red zone targets per game. 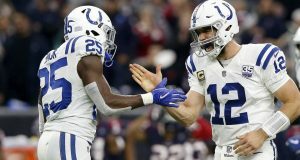 That’s the 7th-best rate among wide receivers over that span, and the names ahead of him include Davante Adams, Odell Beckham Jr., DeAndre Hopkins, and Antonio Brown. Kupp has also averaged a career 14.1 yards per reception, which is 10th-highest among receivers with at least 100 catches in that span. A hefty chunk of that comes from a whopping 6.5 yards after catch per reception — the highest rate by any wideout with 100+ catches in the last two seasons. He’s linked to a young, productive quarterback. He runs with an unguardable stable of skill position players that makes defenses weep, and he still manages to garner 7-8 targets per game. Then he converts those targets into fantasy production at a truly elite rate, thanks to top-tier efficiency and red zone usage. All in all, Kupp profiles as a guy with a WR2 floor and a top-10 ceiling for the next four to five seasons. That should put him somewhere in the conversation of top 40 dynasty assets, or the first four rounds of a startup draft. Now we can circle back to the debate floor. Quite simply, do you agree with my evaluation of Kupp, and of the 2019 draft class? If you do, trading Kupp for the 1.01 would be sacrificing a surefire fantasy cornerstone to gamble on the unknown of Josh Jacobs or the confusing carousel of N’Keal Harry, A.J. Brown, D.K. Metcalf, or Kelvin Harmon. If you hit, odds are you hit on someone right around Kupp’s production anyway. If you hit big, you might jump from a perennial top 18 WR to a perennial top 10 player. But if you miss, you could lose a fantasy stud to the Trent Richardson Abyss. Need I remind you, Corey Davis was touted by many as the 1.01 in Kupp’s 2017 rookie draft. So far, Kupp has three more receptions, 169 more receiving yards, and seven more scores … in four fewer games. For my money, give me the locked-and-loaded Cooper Kupp over the quagmire of this year’s 1.01 any day.